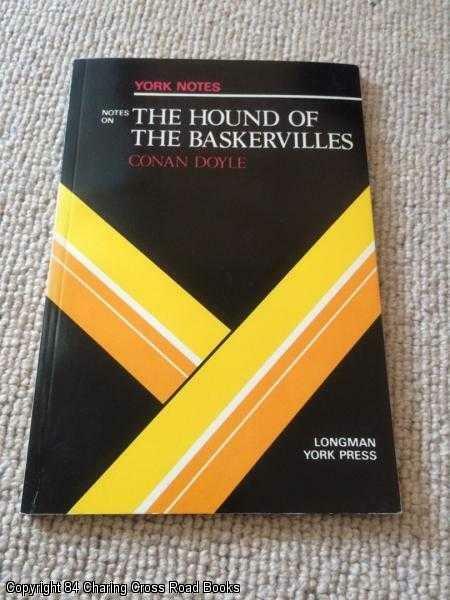 Title: Notes on Doyle's "The Hound of the Baskervilles"
Description: Longman & Co, 1980. First Edition, Softcover. Very Good Condition. 9780582781283 VG 1st ed 1980 Longman paperback in the York Notes series, minor sticker residue to rear cover edge only. Sent Airmail at no extra cost; Quantity Available: 1. Shipped Weight: Under 1 kilogram. ISBN/EAN: 9780582781283. Pictures of this item not already displayed here available upon request.